We’ve been recognized locally as one of BC’s Best Workplaces as well as one of the top Managed IT Services providers in North America. 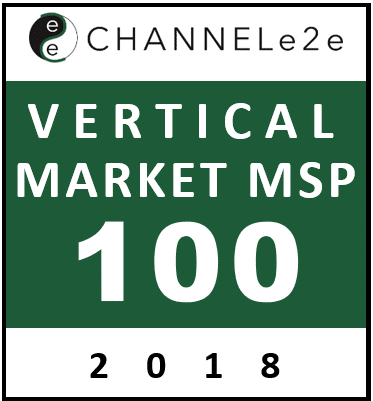 ChannelE2E has once again named us in their Top 100 Vertical Market MSPs List! We ranked 60 out of 100 this year for our experience working with architecture, engineering, and construction clients. 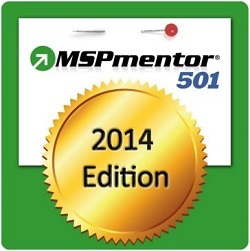 We’re happy to announce we made the MSPmentor’s 501 for their 2017’s list of top managed services providers. The MSP 501 ranking features IT services firms large and small, from virtually every corner of the earth. We ranked 247/501 worldwide, which was examined on business models, technologies, vertical markets and customer segments that MSP companies engage most. 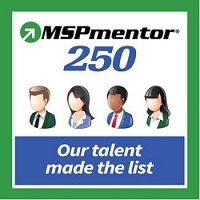 Congratulations to everyone on the list and thank you for MSPmentor for including us in your rankings! April has been an exciting time for the Nucleus Team receiving a second award this month from IT WORLD CANADA. 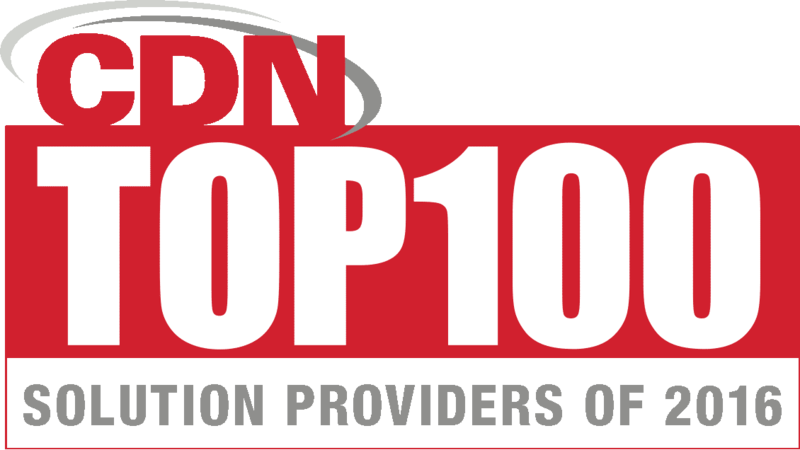 Thank you for listing us in your Top 100 IT Solution Providers in Canada. Last week we had the pleasure of attending Ingram Micro’s Cloud Summit conference in beautiful Phoenix, Arizona. It was a couple days packed with great talks, sessions, and networking events. We traveled back to Vancouver with some additional luggage as we won two awards at the event. Thank you to Ingram Micro for hosting a great event and we look forward to attending next year! We are proud to be nominated and a Top 5 Finalist for Best Company at the Small Business BC Awards 2017. Nucleus has rapidly grown from a dozen people to 35+ team members across Canada. 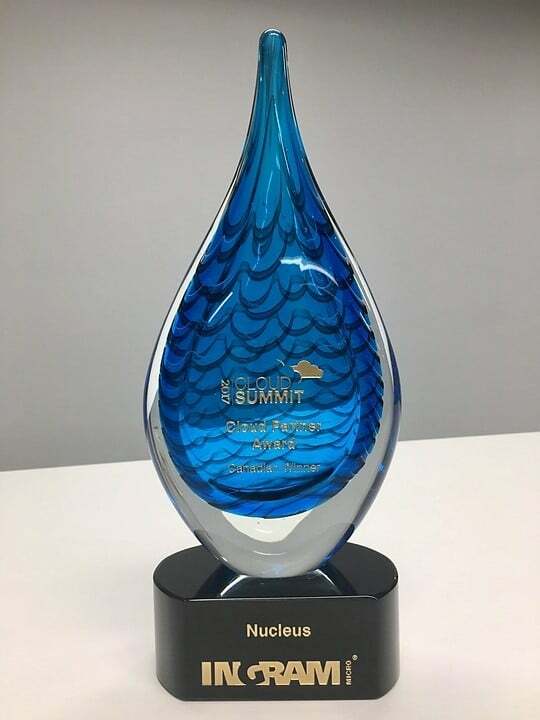 With its head office in Vancouver comprised of 27 staff, 2 team members in Victoria, and 6 in Toronto, Nucleus has received numerous industry awards as one of the best Managed IT Services providers for SMBs in Canada. Over the past 12-months, Nucleus has donated almost 100 computers to 7 Lower Mainland Elementary Schools through its Tech for Kids program. As a culture-first organization, Nucleus is dedicated to fostering an amazing workplace and strives to build a sports team-like atmosphere while at the same time, providing an amazing client experience. In 2016 Nucleus attained the status of Microsoft Gold Partner for Small Business and Midmarket cloud solutions! Having migrated more than 50 clients to Office 365, we are now certified cloud experts! Nucleus is also one of a few Managed Microsoft partners in Vancouver. 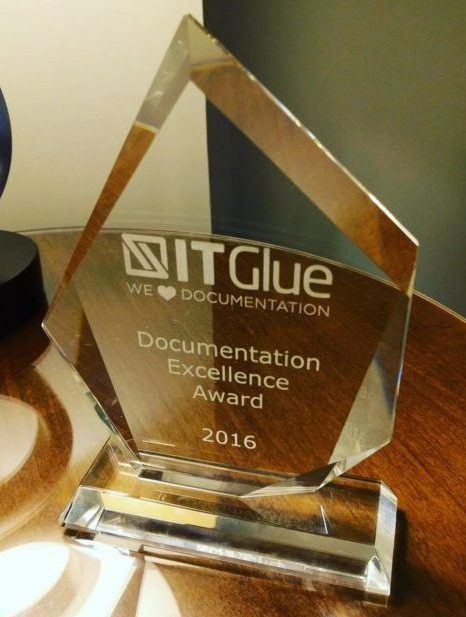 We received the 2016 ‘IT Glue Partner of the Year’ award for our commitment and excellence when it comes to IT documentation! This recognition confirms our commitment to documenting our client environments so our technical support team has the most recent information at their fingertips in order to service our clients as efficiently as possible. 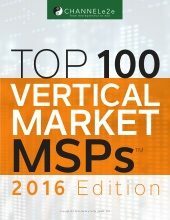 We were named to ChannelE2E’s Top 100 Vertical Market MSPs List for 2016! We ranked 29 out of 100, this was the highest ranking by any Canadian-based Managed IT Services Provider! 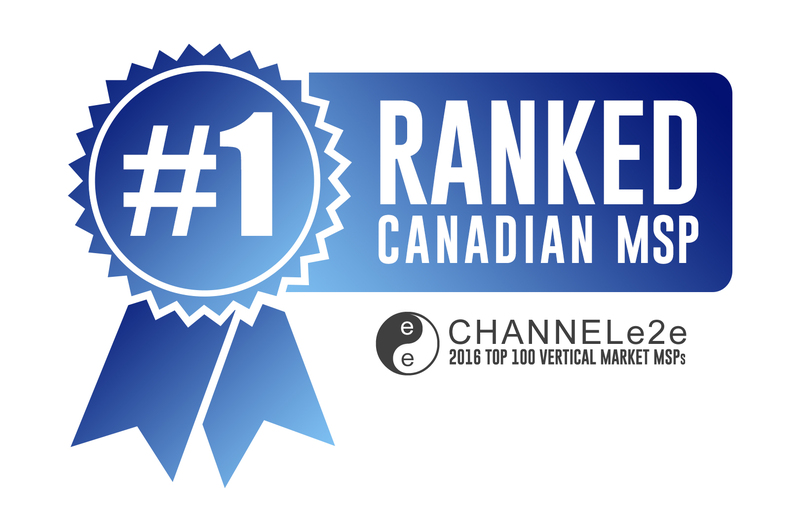 We were ranked the #1 Canadian MSP on Channel E2E’s 2016 Top 100 List of Vertical Market MSPs in North America! Overall, we ranked 29 out of 100 on the list and the next closest Canadian Managed IT Services Provider was ranked 67. 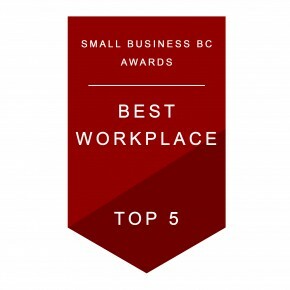 We were a Top 5 Finalist in the Best Workplace Category at the Small Business BC Awards for 2015-2016. 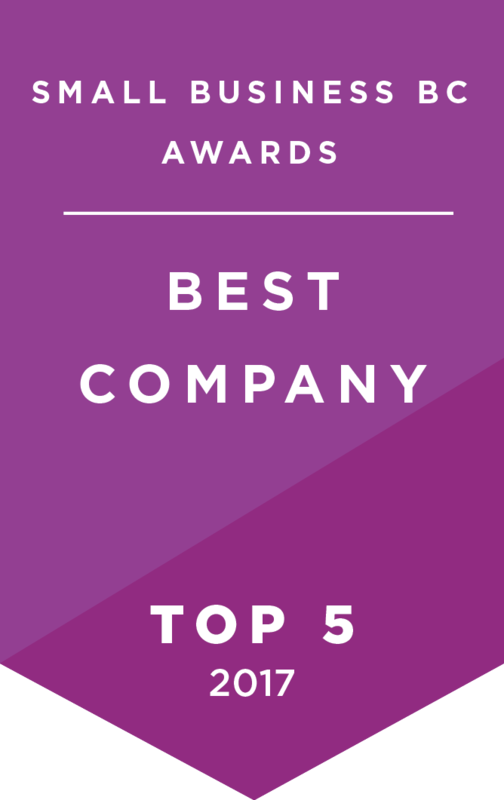 Nucleus was recognized as one of North America’s Top 501 Managed Services Provider for 2015! 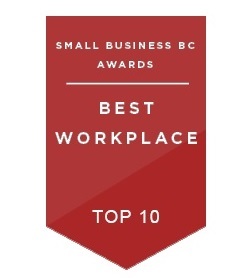 We were a Top 10 Finalist in the Best Workplace Category at the Small Business BC Awards for 2014-2015. Nucleus was recognized as one of North America’s Top 501 Managed Services Provider for 2014! Over the last few years members of our team (Martin and Karl) have been recognized as one (or two) of MSPMentor’s Top 250 Experts, Entrepreneurs, and Executives!